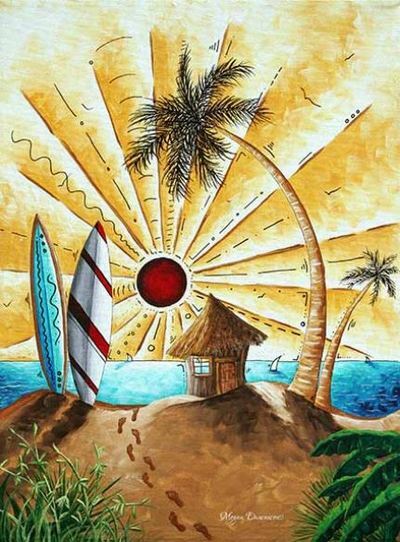 "Art that Colors the Soul"
Originally from Alaska, Megan always loved to paint tropical and coastal art. She eventually followed her heart and the sun to Florida many years ago. She has been a professional, full-time artist for over 10 years selling her art online, in galleries, even as far away as Hong Kong, and licensed to over 50 different manufacturers for their products. 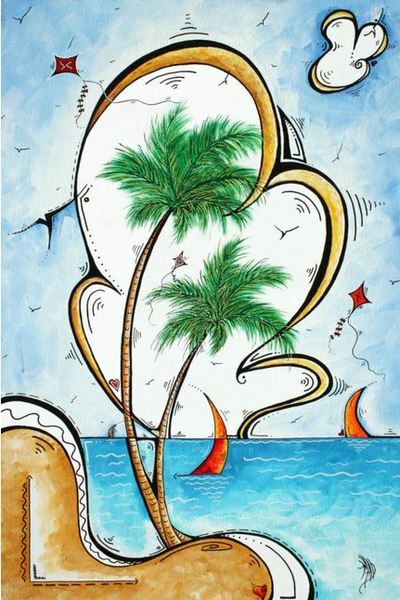 Joining Ocean Art Gallery is a dream come true for her and the next step in her career. "Nothing can compare to seeing artwork up close and in person. 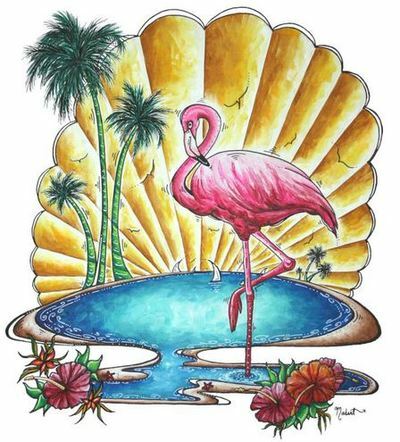 I believe Ocean Art Gallery is the perfect place in Flagler County, and the surrounding area, for collectors and new fans to see my original PoP Art Style paintings". 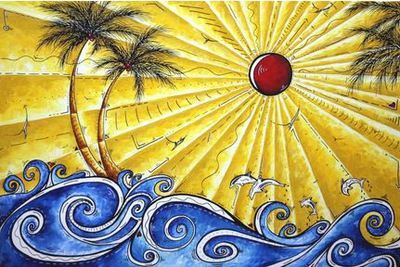 Megan's art was featured in the "O" Oprah Magazine, Family Circle, HGTV Magazine, the cover of The Interior Design Magazine, seen on TV for shows such as Greys Anatomy and Celebrity wife Swap, as well as being seen on Good Morning America, Inside Edition and more. 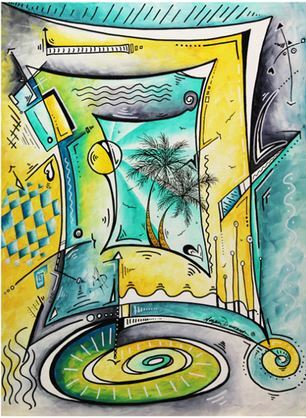 In 2015, her tropical painting "Living the Dream" was on the cover of Art Blend Magazine as well as the featured painting for the VIP section of the Spectrum Art Show during Art Basel week. 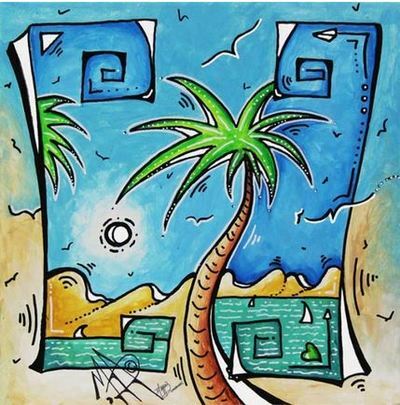 Products with her vibrant artwork can be found in stores such as Target, Home Goods, Bed Bath and Beyond, Nordstrom and many more well known retailers.